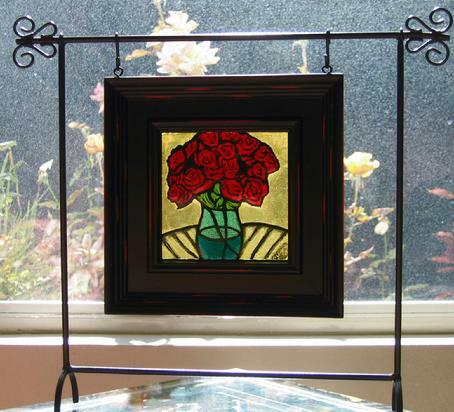 The Rose Vignette is a mini Vitri-Fusáille glass panel in my “Rose Vignette” Series that I designed & created from my original photograph of a red rose bouquet. The“8 ½” x 8 ½” Vitri-Fusáille Framed Glass Panels can be hung on their own or on a 14” x 16” Wrought Iron Stand displayed above. 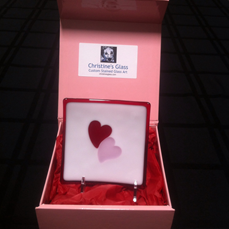 Stands are sold separately. 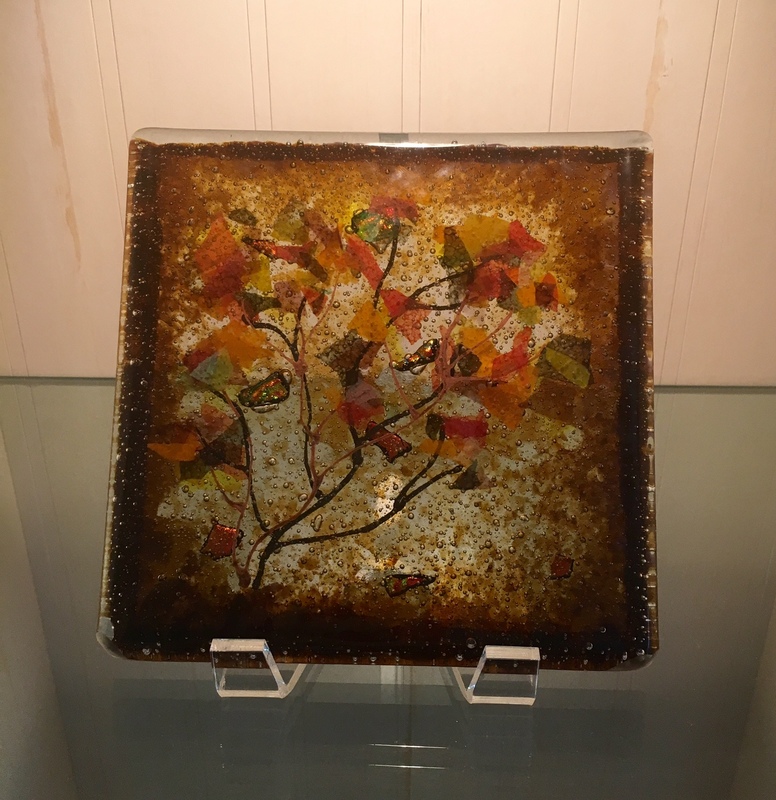 Please contact me at christinesglass1@gmail.com or by phone at (702) 349-0065 to order a “Rose Vignette” in Red, Orange, Yellow or Purple. 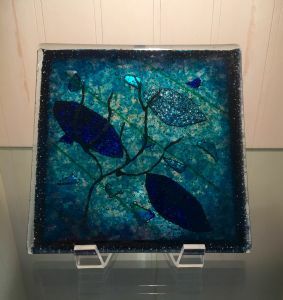 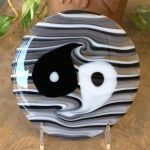 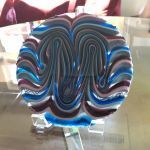 I created these custom fused 6” to 8” circular & square art pieces utilizing the technique of “glass combing” to receive a one-of-a-kind color pattern in the glass. 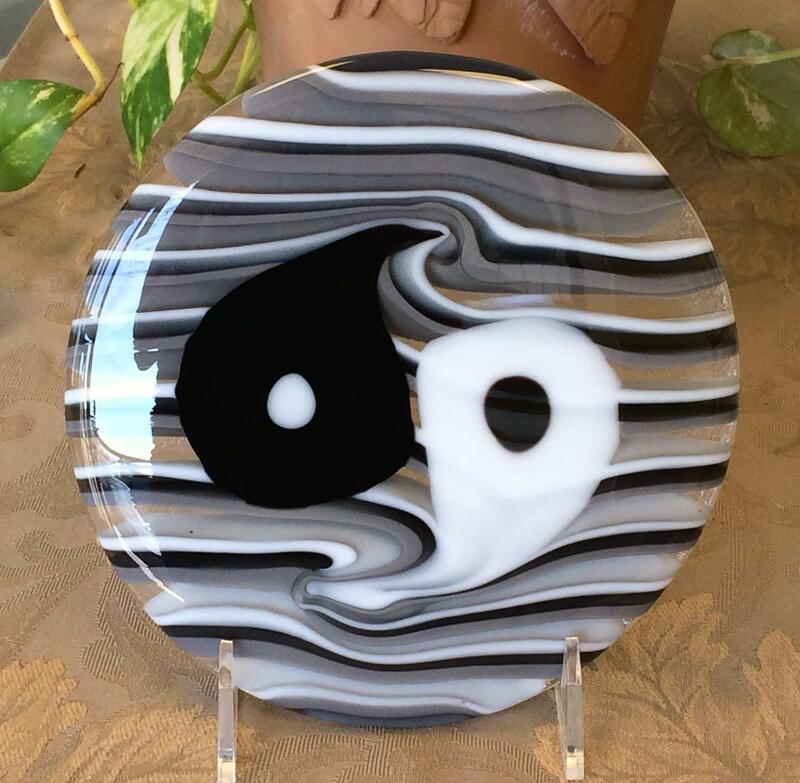 Each pattern created is truly unique & special! 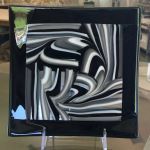 Please contact me at christinesglass1@gmail.com or by phone at (702) 349-0065 to order a Custom Combed Glass Art Piece of your own! 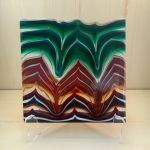 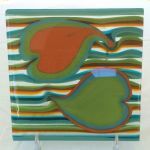 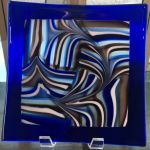 I designed these 6” x 6” Casted Glass Art Pieces to create layers of depth in a impressionistic approach to the subject matter. 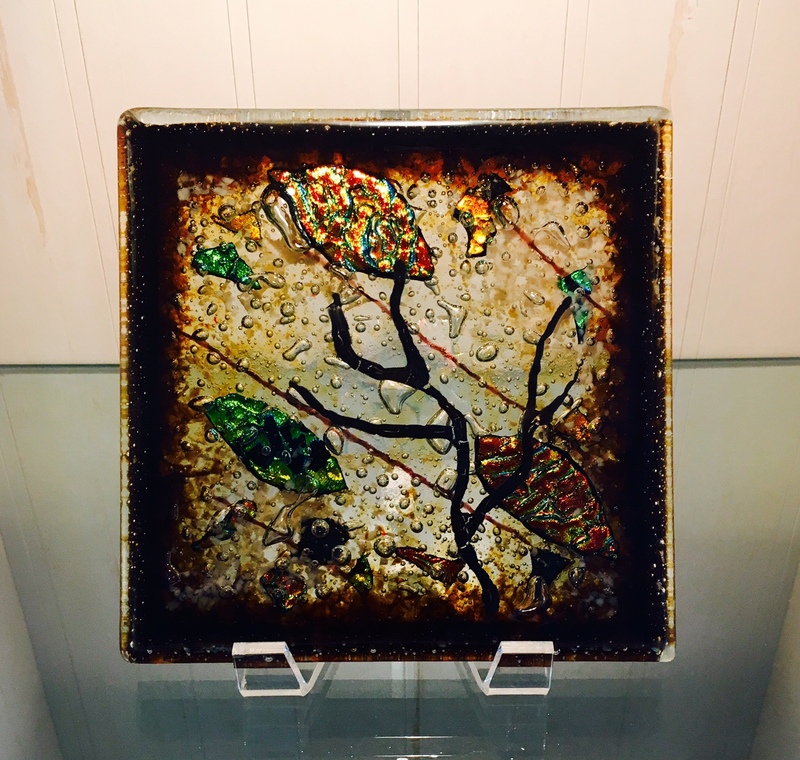 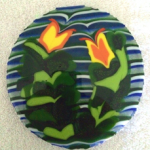 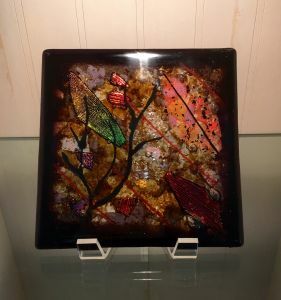 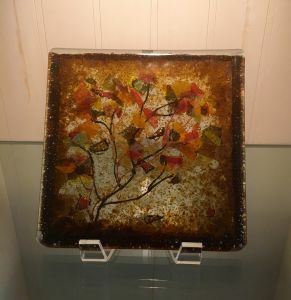 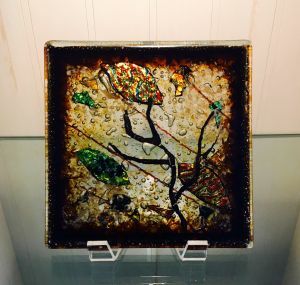 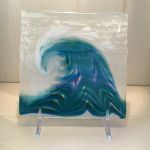 Every casted glass art piece is custom & distinctive! 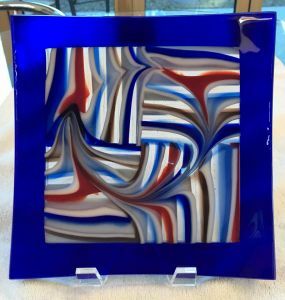 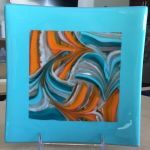 Please contact me at christinesglass1@gmail.com or by phone at (702) 349-0065 to inquire about a Custom Casted Glass Art Piece that interest you! 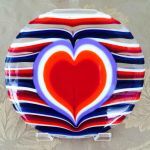 This 4 ½” x 4 ½” symbolic heart dish represents love, love of someone special, a love for your Alma Mater, a favorite sports team or whatever colors are meaningful for you. 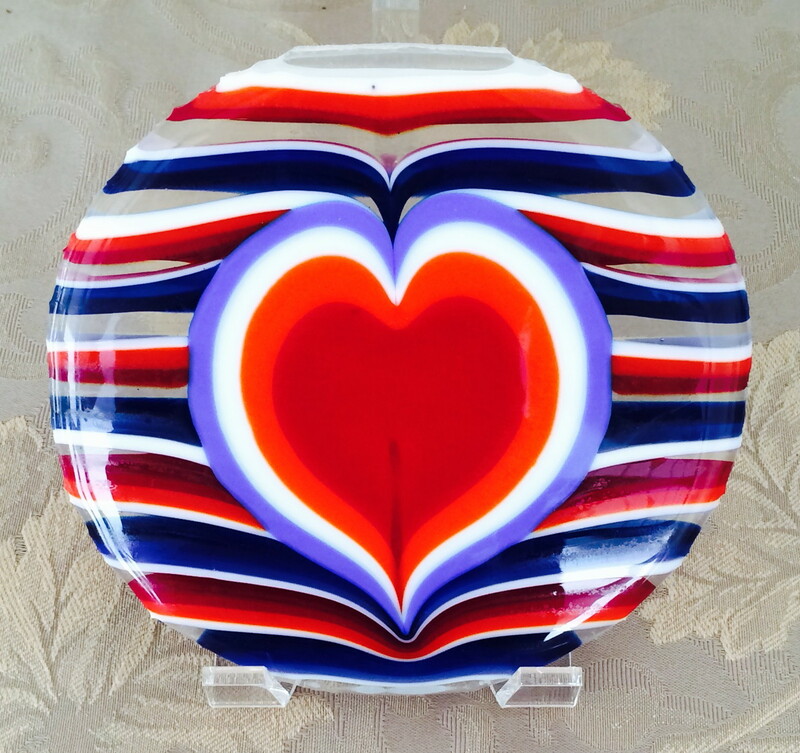 What a great gift to acknowledge “Love”! 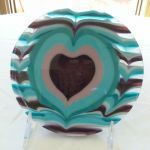 The Pink and Red Hearts dish is a favorite for that special someone. 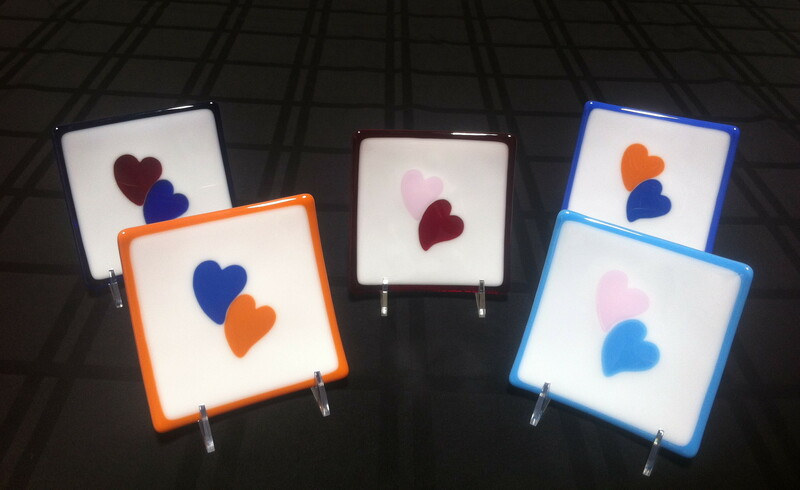 To make your gift more complete you can purchase the Fused Heart Dish Package that includes: Your custom made fused Dish, a 2.75” wide easel to display your special piece of art, and a 5.5” x 5.5”x 1.75” gloss gift box in either white, pink or black. 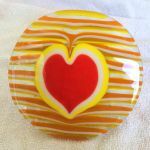 Please contact me at christinesglass1@gmail.com or by phone at (702) 349-0065 to order your Fused Glass Heart Dish Package!